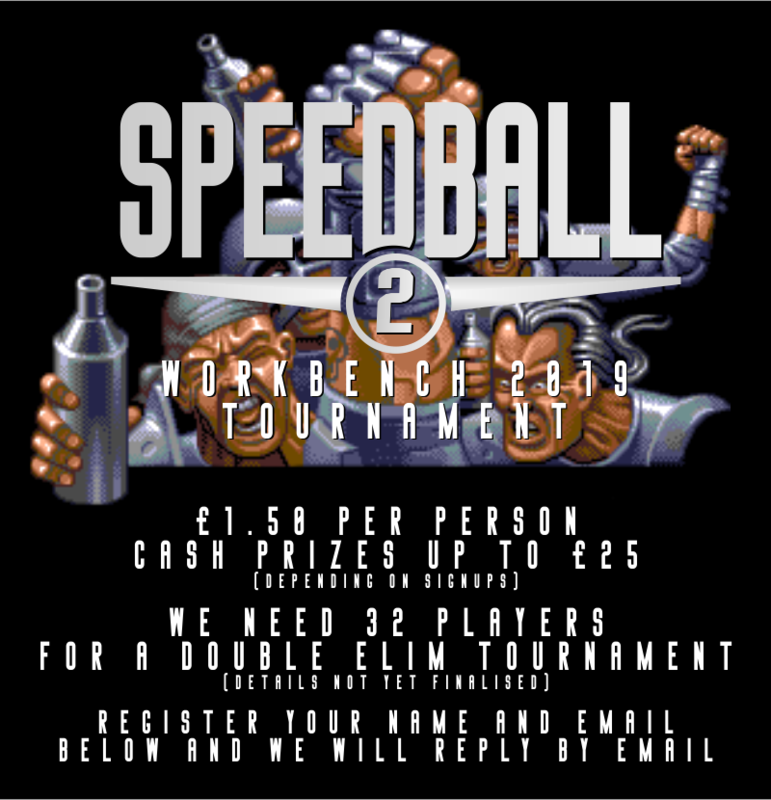 Workbench: Our First Ever SpeedBall 2 Prize Tournament. Speedball 2 Tournament is now scheduled for Workbench. We been working frantically over the last few days to try and get this together, sadly not everything is ready but I wanted to announce this now and we are still working on many things, the prizes, the format and when the finals will be played. We will be utilizing the venue the best we can, we will have few Amiga’s available to play these games on. Everyone attending is allowed an entry, you can pay on the day by seeing one of us or by commenting below with your email, name and we will get back to you, you will be marked onto the bracket list and give you a link to make a PayPal payment of £1.50, you will then be entered into the Tournament and receive an email confirming this. Between 12-1pm, we will be testing computers, 1pm the tournament will kick off with the first leg. Second Leg will start hopefully around 2:30PM. More times will follow once confirmed. No cheating allowed will result in a disqualification. A draw will result in one extra round with 1 half. A no-show player will result in the other player proceeding thru the tournament. Scores will be recorded on paper and other player must agree with submitted scores with judge. Knockout – All games in first and second round. Semi/Final will be Best of 3. SWAGDerek, SWAGDave and SWAGGil will oversee the tournament.